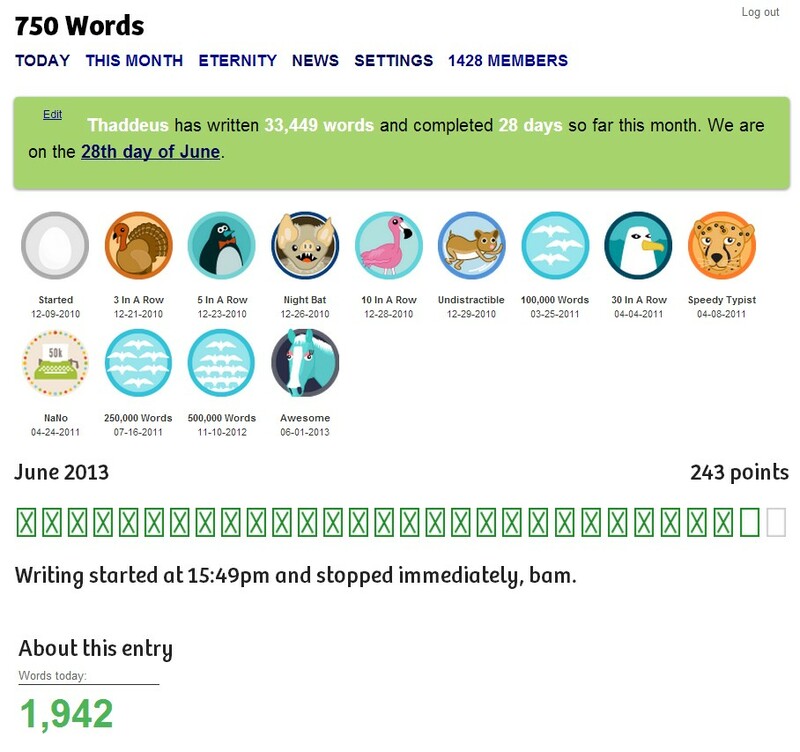 I have completed my 90th day in a row writing something for one of my writing projects. My major projects include: The Science Fiction and Fantasy StackExchange, a Q&A board I frequent making the world safe for science fiction and fantasy readers everywhere. I try to publish at least one answer/essay there every day. I have over seven hundred essays in two years, so I am pretty consistent. I write science fiction and fantasy for sale and publication. I sold three pieces this month with one of them offering professional publication rates. My goal is to sell 12 this year and I put out at least one story a month to a variety of markets. Still waiting to hear back from June. No idea what I am going to present for July. I maintain a science fiction and fantasy blog at Hub City Blues – http://hubcityblues.com. I write short stories and serials there and experiment with a variety of types of fiction genres including pulp, speculative fiction, magical realism, horror, fantasy, sword and sorcery and space opera. No genre is too degenerate (except maybe Romance). I have over one hundred stories on this site. I also write for the Good Men Project – http://goodmenproject.com – when they are willing to support my work. They like me so they publish my essays. I like them so I try to keep them sort-of PC. So my goal is to keep doing what I do. Putting out amazing stuff for whoever I can, on a daily basis. Road Trip – http://wp.me/p1UgIB-yu – Or why demonic cars always end up on the scrap heap. Rhapsody – http://wp.me/s1UgIB-rhapsody – Destroyed Earth + Alien rescuers + nostalgia = awesome musical jam session. 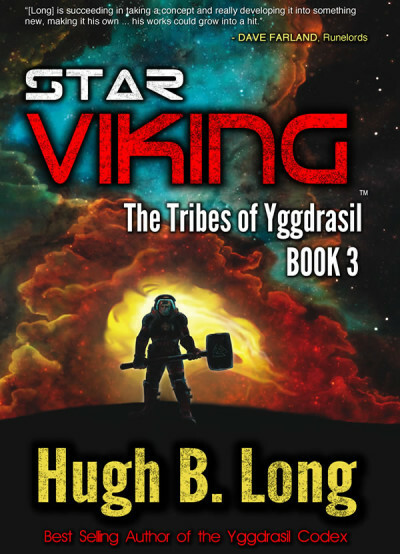 I Remember the Future on a Faraway Land – http://wp.me/p1UgIB-yR – When men stride the stars as gods, will we remember what it was like to worship gods? The Man of Steel Lament – http://wp.me/ppBHn-B6 – The fanboys rage against the Man of Steel crying how it wasn’t their father’s Superman. My answer: Get over yourselves (but I say it in a really classy way). I promise next week will be equally exciting. I may actually write something I want to sell too. 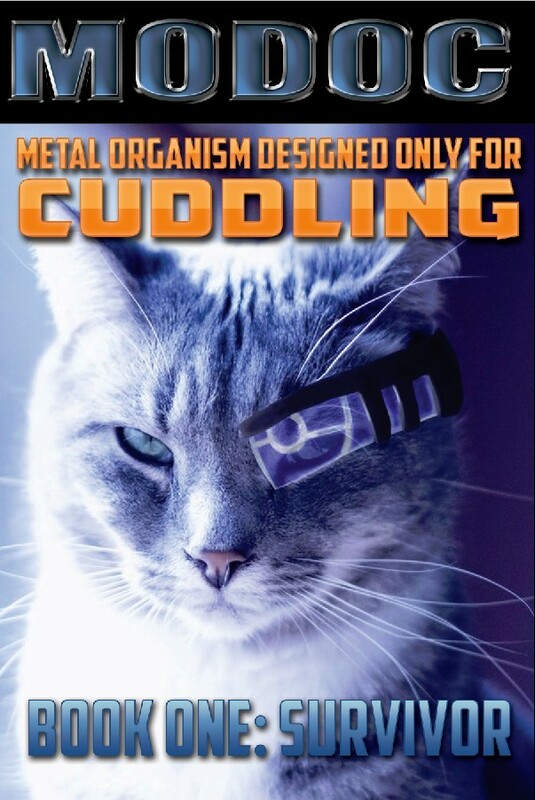 If you like my sites, my work, my stories, my nerve, my cat’s cybernetic implant, make sure you donate to Clarion West. One day I might want to come here and I would like them to remember me fondly. Nothing boosts memory like cash flow. See ya around, Space Cowboy.